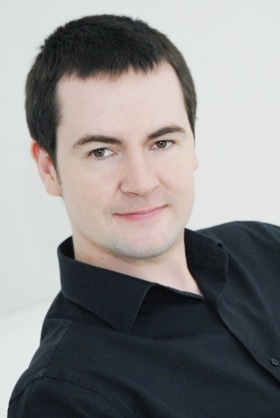 Violinist Darragh Morgan enjoys a hugely diverse and rewarding career. He has led world class international ensembles, such as the Ensemble Modern, London Sinfonietta, Musik Fabrik and Birmingham Contemporary Music Group. As a concerto soloist, highlights include invitations from the National Symphony Orchestra of Ireland (performing Elastic Harmonic by Donnacha Dennehy, recorded on NMC D133), the Ulster Orchestra (in the world premiere of Hymn of Dawn by Sir John Tavener), and the KZN Philharmonic (giving the South African premiere of Samuel Barber's violin concerto). His many CD recordings include Opera NMC D108, the complete violin & piano music of Michael Finnissy for Mode Records (both with pianist Mary Dullea) and For John Cage by Morton Feldman with pianist John Tilbury on Matchless Recordings. A keen pedagogue, he is regularly invited to work with string and composition students at the Royal Academy of Music, Royal College of Music and the Britten Pears Young Artists Programme. He is a member of two award winning chamber ensembles The Smith Quartet and The Fidelio Trio. With these groups Darragh has performed at many prestigious international festivals including, Aldeburgh, Cheltenham, Huddersfield, FuseLeeds, BBC Proms Chamber Music, Festival D'Automne à Paris and the Luzern Festival.